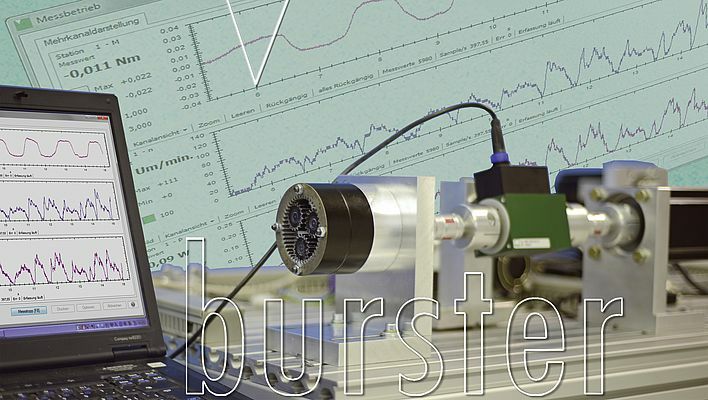 The latest dual-range torque sensor in burster's 8661 series of compact precision torque sensors is setting new standards for measuring static and rotating torques in laboratory testing, production and quality assurance. Just one sensor covers a wide load range: by using different factors for ranges from 0 ... 5 Nm to 0 ... 200 Nm, you can now measure loads with a linearity deviation of less than 0.05 % F.S. Thanks to the optional USB interface and convenient DigiVision PC software, the sensor is good for both stationary and mobile measurement tasks. Depending on the model and software version, you can visualize, log and assess torque, speed and angle measurements and computed mechanical power on up to 32 measurement channels. The formula editor lets you use mathematical operands to calculate numerous variables, including values such as efficiency and smoothing averages.